The name says it all. For us it was love at first sight. A real `pearl` that we found in the south of Lot! The area is stunningly beautiful and is characterized by its diverse nature, with valleys full of fruit trees, vineyards, tropical plants and trees. There are limestone plateaus with deep gorges and caves, carved by the many rivers that flow through Lot. Nice, cozy, medieval villages and towns with rich cultural heritage are made lively by the many (night) markets, flea markets and festivities. The region is ideal for sporty travelers, for walking, cycling, water sports, golf, climbing and so on. 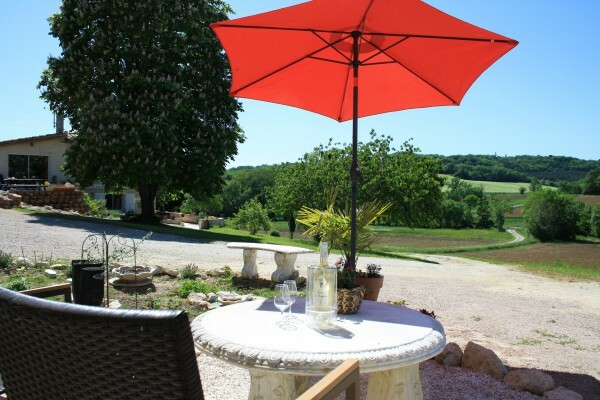 Here in the 'Quercy Blanc` nature still reigns and people are open and friendly. 'La Perle du Lot' consists of our home with outbuilding & pool, jacuzzi and sauna, and is approximately one hectare in size, which is large enough for relaxing in and around the house. Our accommodation is classified by "Lot Tourisme". We would like to share the good life with you, making your holiday unforgettable. 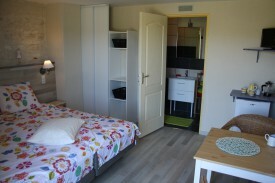 We wish you a warm welcome in one of our bed and breakfast rooms, or in one of the gîtes. Or maybe you'll be interested in renting our campervan, a very different way of life! We are certain that you will feel at home with us, thanks to this beautiful region and our warm hospitality. We havetwoB & B-rooms, bothfortwopeople. Through the doubledoorsyou cometo your private terrace(with patiofurniture)where you have abeautiful view overthevalleyandCastelnau-Montratier. No experiences yet with La Perle du Lot. Be the first! Did you stay in La Perle du Lot? Let us know what you thought about it and help others to make the right choice! * I confirm having stayed in La Perle du Lot. 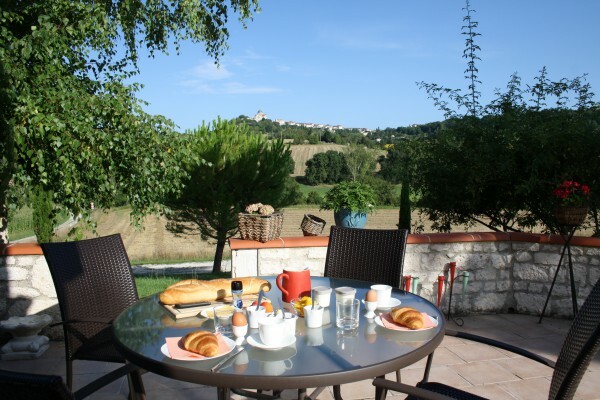 Find other bed & breakfasts in Castelnau-Montratier or all bed & breakfasts in Midi-Pyrenees.